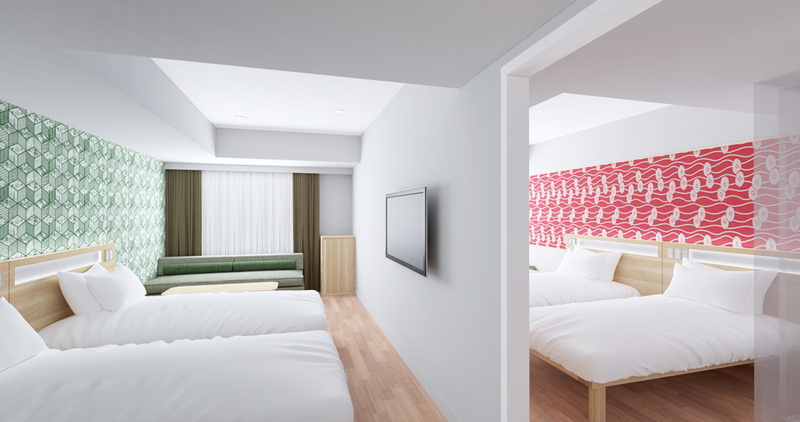 Ideal to enjoy Tokyo: a brand-new karaksa hotel to open in Ginza! Every year, many tourists from around the world visit Japan. 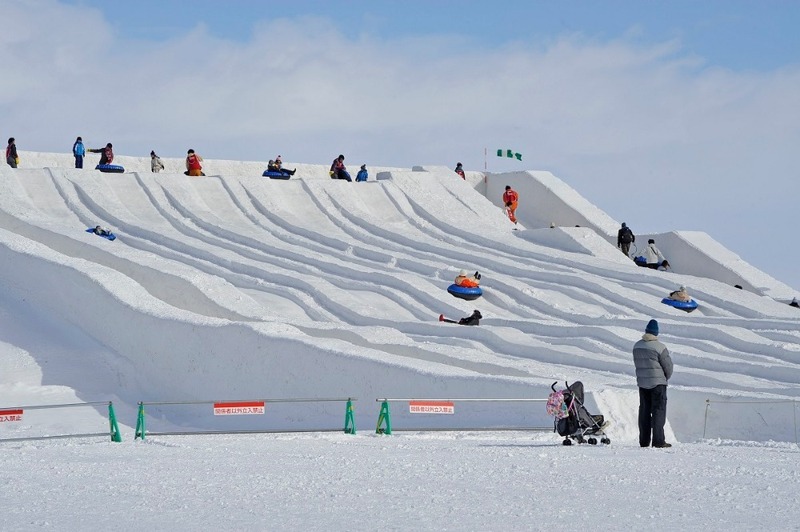 Amongst Japan’s most popular sightseeing areas like Tokyo, Kyoto, Osaka, and Hokkaido, the 2020 Summer Olympics venue, Tokyo, is drawing a lot of attention. 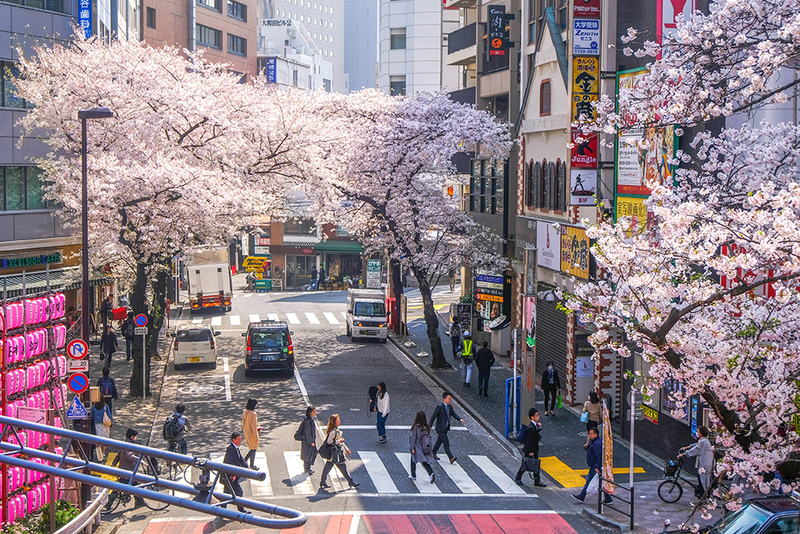 With plenty of famous tourist spots like Shibuya, Harajuku, and Asakusa, many travelers enjoy the sights of Tokyo daily. 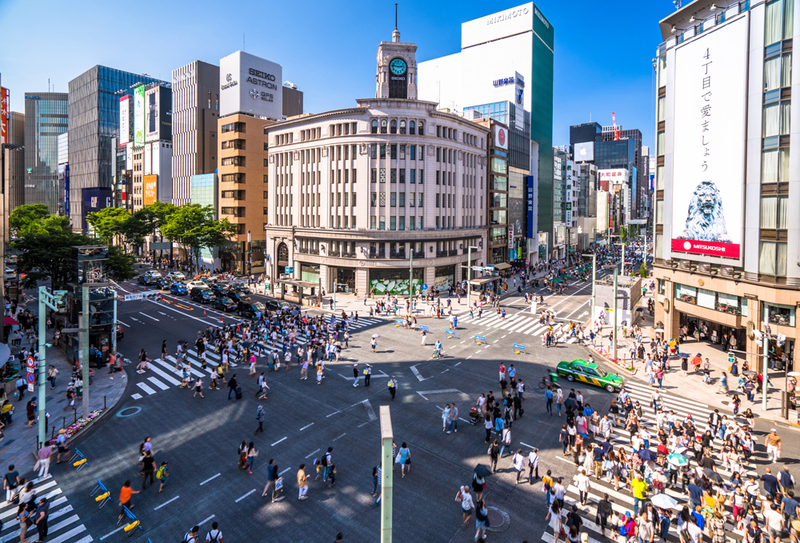 Two new hotels will open in central Tokyo soon: karaksa hotel premier Tokyo Ginza will open on May 1 in Ginza and karaksa hotel TOKYO STATION will open on July 8 in front of Tokyo Station! 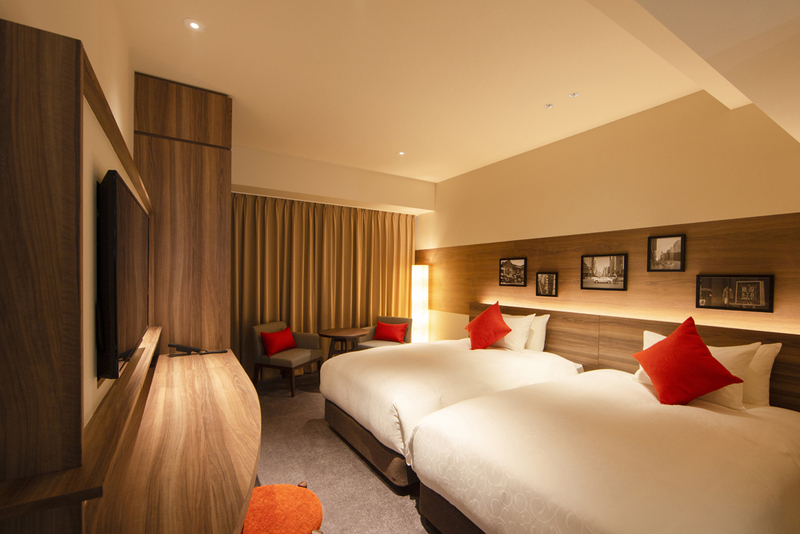 karaksa hotel premier Tokyo Ginza, as the name suggests, is a new upper class of karaksa hotels. 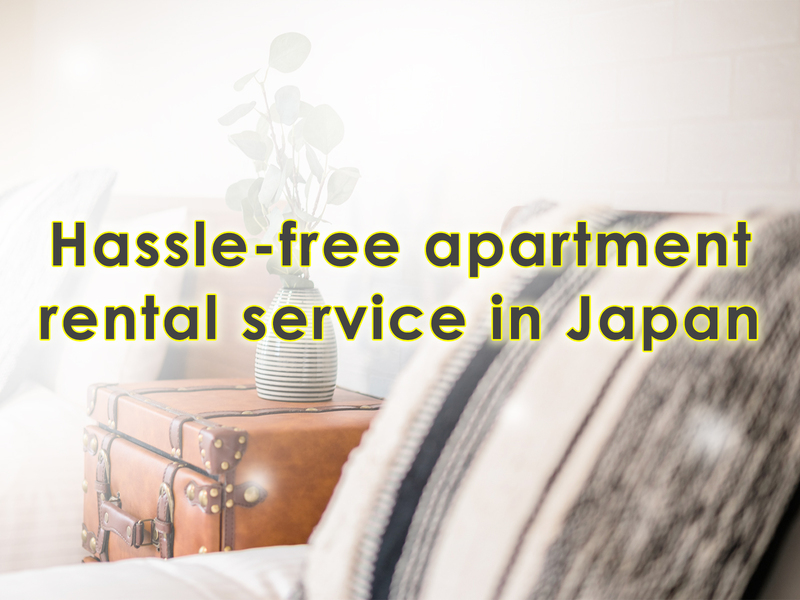 With the promise of a comfortable hotel stay, this hotel is designed based on the concept of “spending valuable time with your beloved partner.” Large-windowed, spacious rooms ranging from 26㎡ to 43㎡ offer a view of Ginza, which is particularly spectacular in the evening. To ensure a good night’s sleep, all rooms have custom-made mattresses by world-renowned Serta , combined with wool mattress pads that wick away moisture and down duvets with heat-retaining far infrared fabric (Kodenshi®). 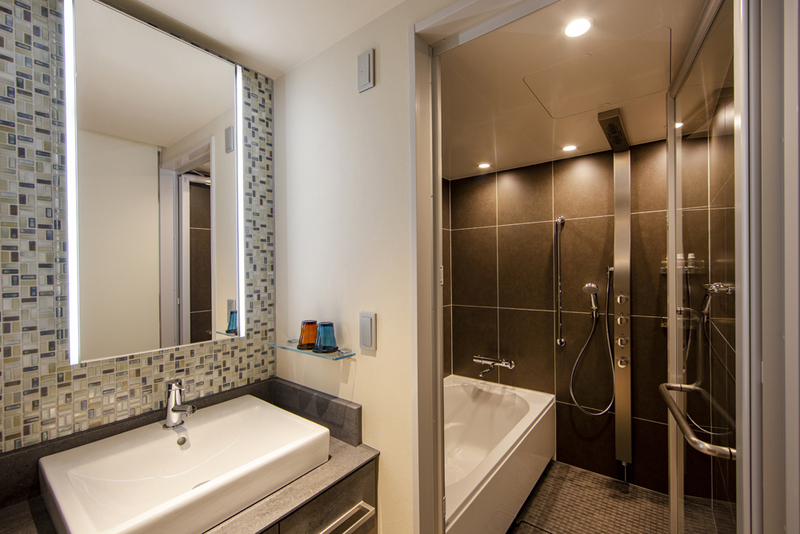 In addition, all rooms have rain showers and LED mirrors. Such well-thought-out details show how particular the hotel is about providing relaxing spaces! 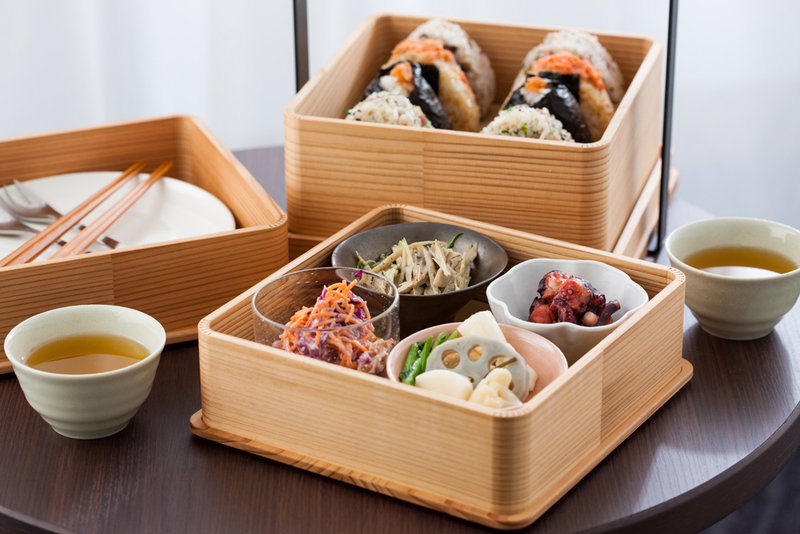 Offering the delicate taste of Japanese cuisine, the breakfast is prepared using various kinds of Japanese soup stock that bring out UMAMI flavors. The hotel also offers in-room breakfast, so guests can enjoy eating their breakfast without haste in the morning. One thing that makes karaksa hotel premier Tokyo Ginza special is the free lounge for its guests. 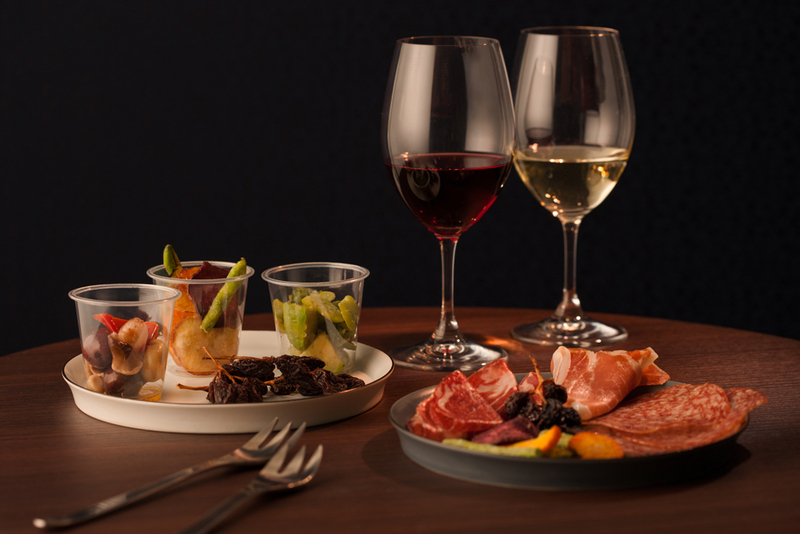 Here, guests can indulge themselves with seasonal drinks, cute finger food, and help themselves with wine among other drinks at night. 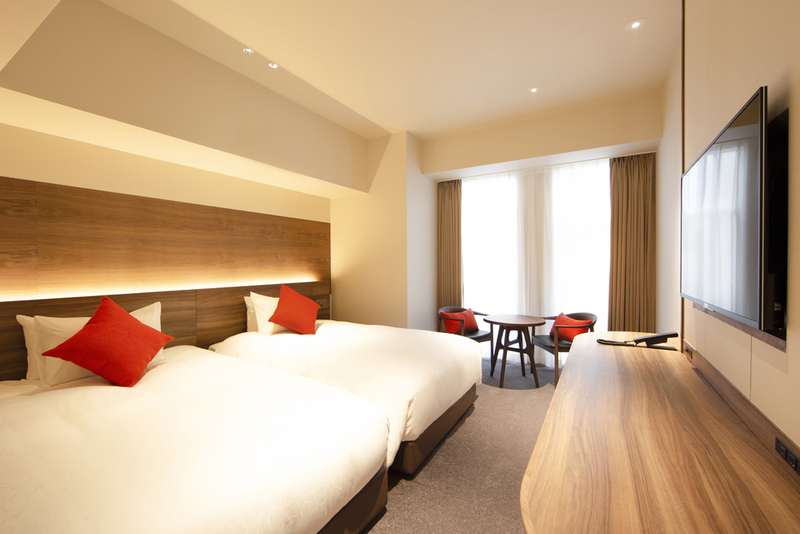 karaksa hotel premier Tokyo Ginza is located at a very strategic location. 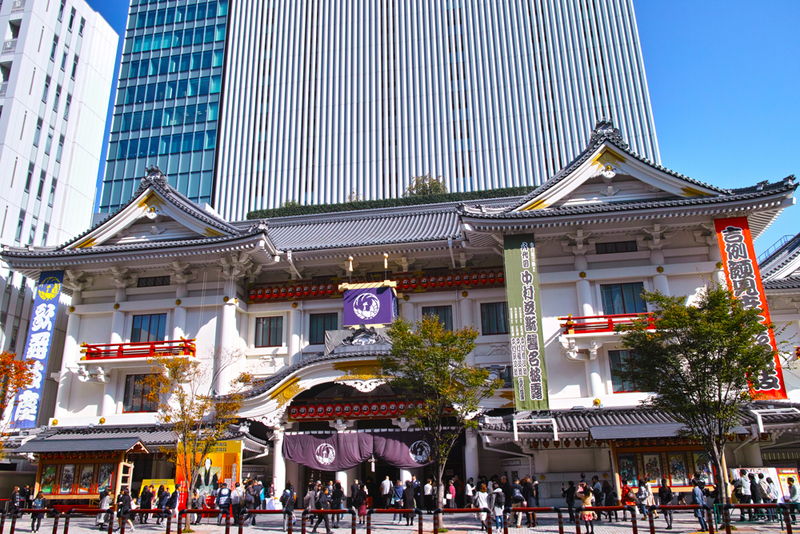 The hotel is close to Ginza, an iconic shopping district of Japan, and also Kabukiza, a famous Kabuki theater in Tokyo. 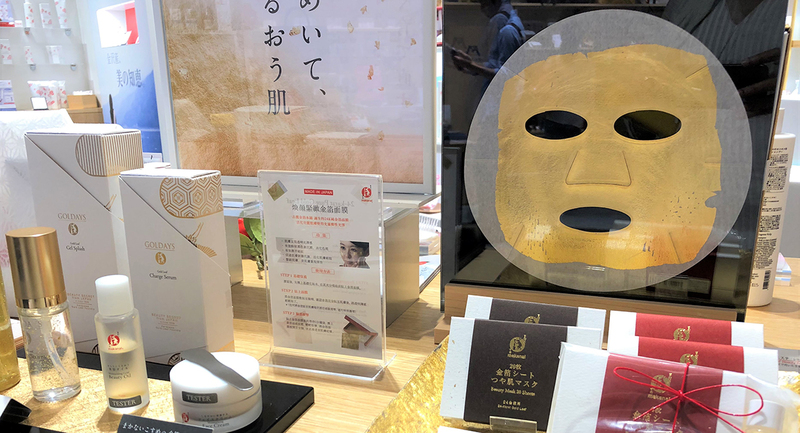 Don Quijote Ginza Honkan is also located within walking distance, where you enjoy shopping for anything from luxury brands to souvenirs as well as daily necessities. 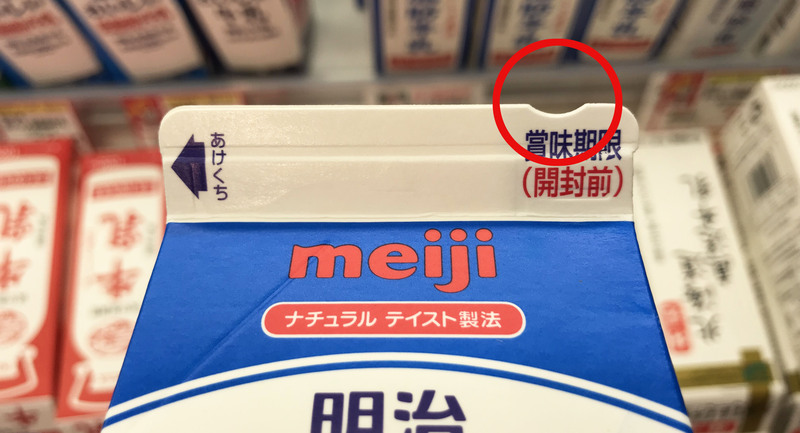 Click here for a special coupon from Don Quijote! 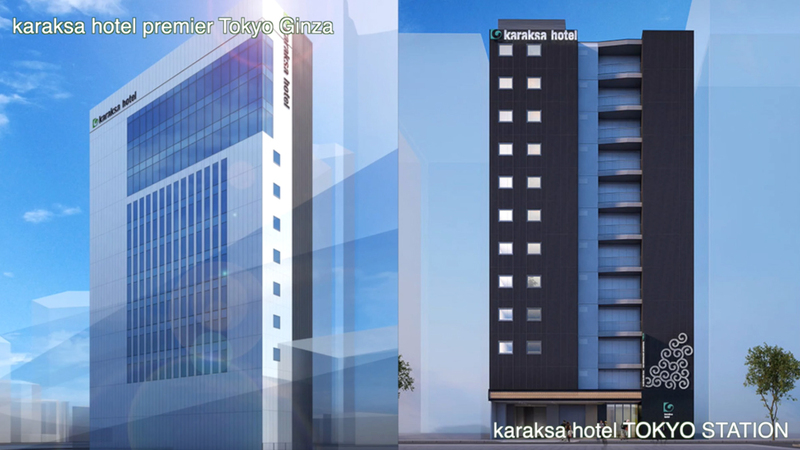 karaksa hotel TOKYO STATION will open on July 8, 2019. 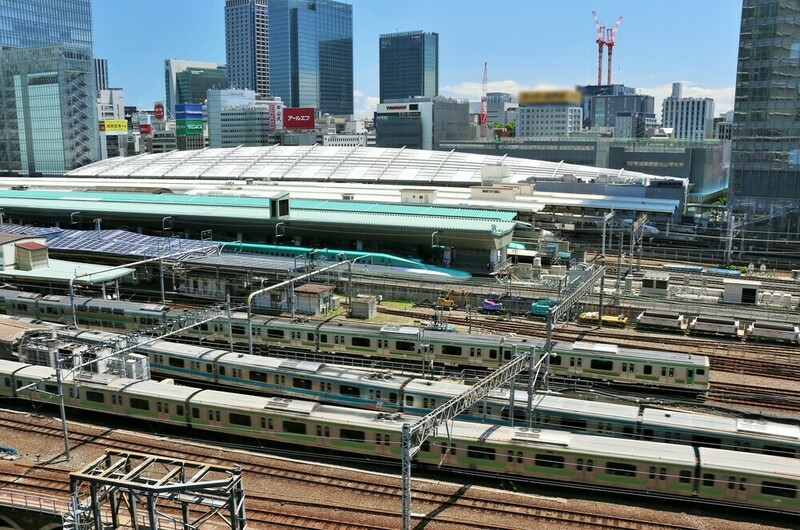 The hotel is located within a 5-minute walk from Tokyo Station, the center of railway and Shinkansen network of Japan. Around Tokyo Station, there are also many bus terminals, giving you plenty of options for highway buses. You can even access Haneda Airport or Narita Airport easily from these bus terminals. Amongst 151 rooms, 94 rooms can accommodate up to three guests. There are 40 connecting rooms that can be used to accommodate up to six guests when connected to the adjacent room via inner doors. This hotel is a great option for families or those traveling in groups. 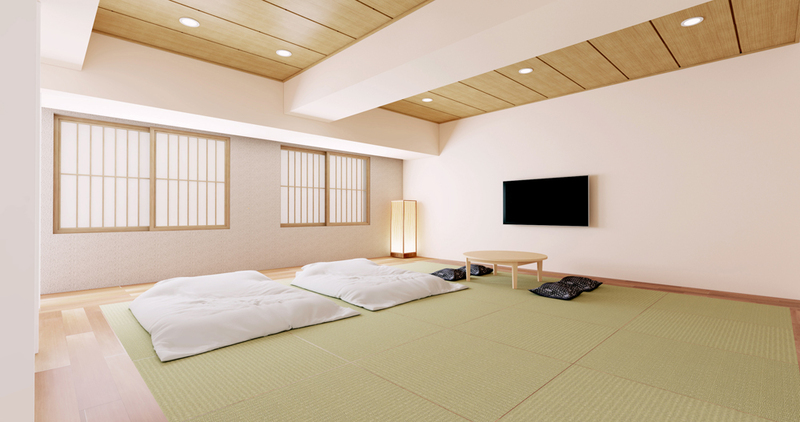 There are three spacious Japanese family rooms with tatami mats. 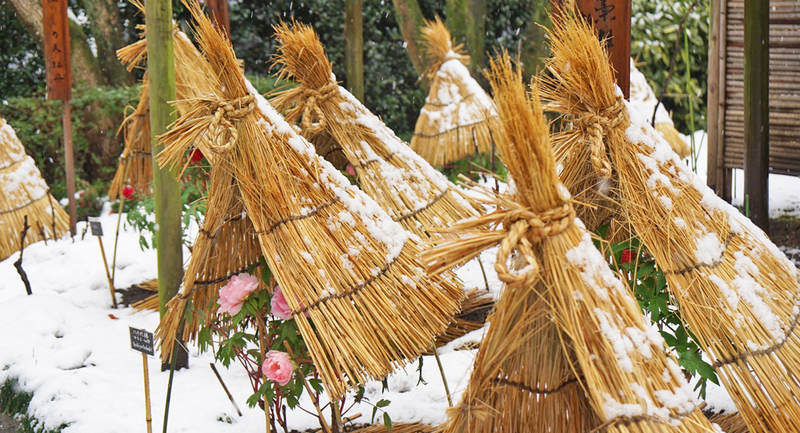 How about staying in a Japanese-style room while you’re in Japan? 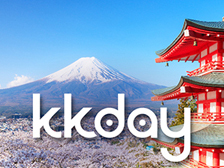 Located in central Tokyo, karaksa hotel TOKYO STATION provides easy access to Tokyo’s most famous sightseeing spots. You can reach The Imperial Palace and its beautiful gardens easily from the hotel on foot. 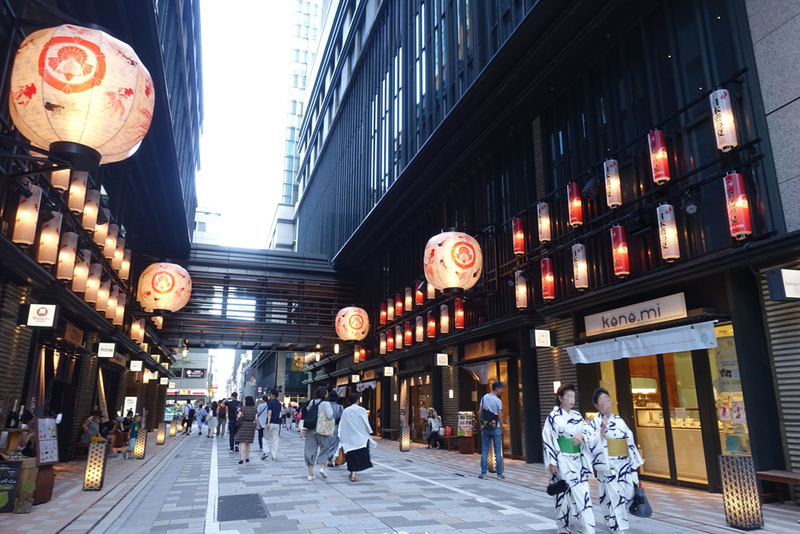 Nihombashi, the retro shopping district packed with legendary shops, is also accessible on foot from the hotel. 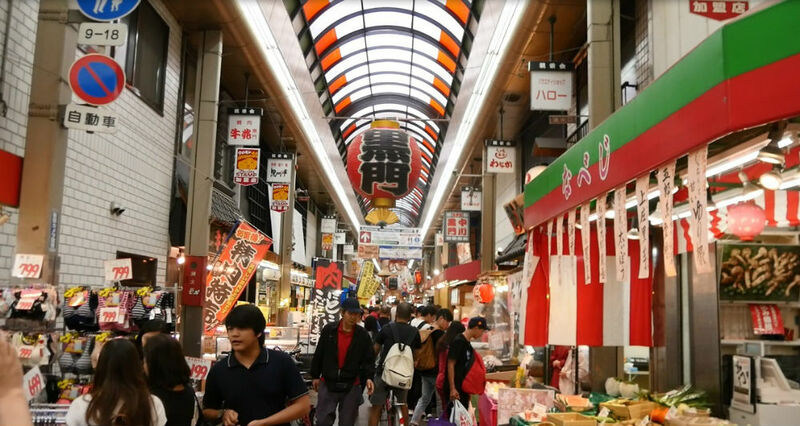 You can enjoy both traditional and modern Japan in this area. To celebrate the grand openings, the two hotels are offering a special stay plan through the official website only. 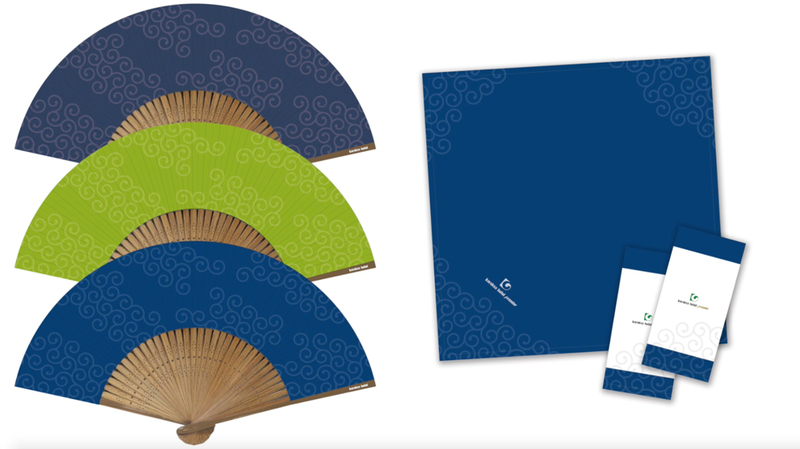 Guests will receive an original Japanese foldable fan. 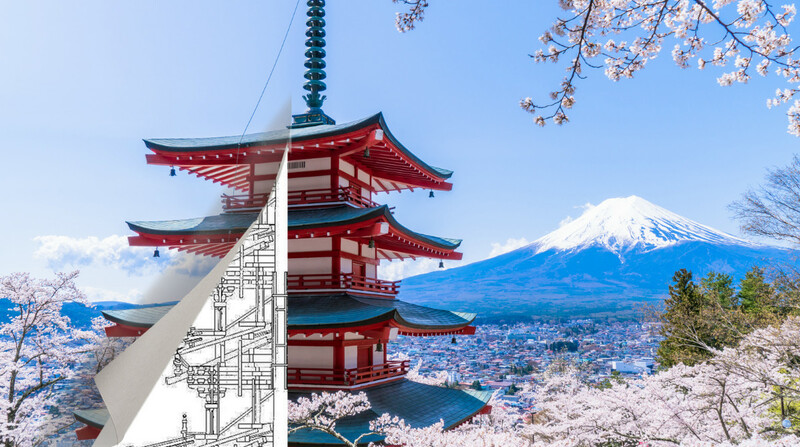 In addition, guests at karaksa hotel premier Tokyo Ginza will receive a free Japanese-style wrapping cloth with an arabesque motif (wrapping instructions included). Don’t miss this chance and make your reservation now! 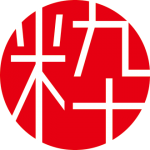 Currently, there are four karaksa hotels in Kansai and one in Hokkaido, but more hotels are scheduled to open in Japan in the near future. Visit the official website for more information!